Introducing a new brand to A Whole Lot of Love. Welcome Lyn's Label. I'm so happy to introduce this new brand to A Whole Lot of Love. Lyn’s Label oozes quality, classic style, and luxury. The products made by Lyn’s Label are all Eco-friendly and made from the finest quality materials. You want products that are soft and gentle on your baby’s skin and you can be assured that this is what you will get with Lyn’s Label. Lyn’s Label is a gorgeous story that begun in 1984 when Lyn Newlove launched the brand. It was then relaunched by her daughter Marnie in 2013. So it’s a second generation business with mother and daughter designing together and hand crafting some truly beautiful products. A Whole Lot of Love are stocking three wonderful products for now and hoping to increase to include more of their lovely goodies. The Maya Portable Change Mattress is a versatile baby accessory. It’s great as a change mat and mattress on top of your change table and its portable, so very useful for bath time, play and tummy time. The cover can also be used as a pillow case once your baby is done with it, as the size is the same as a standard pillow case. $59.95 with one cover or $75 with 2. Comes with a White or Vanilla cover or one of each- you choose. The Bella reversible baby bag is so much more than a nappy bag! It’s a portable change mat and play mat. It is anti-bacterial, waterproof, stylish, reversible, and comes with a handbag insert. Made with a unique water based polyurethane system which offers exceptional durability, making it lighter, softer and more durable than genuine leather. Genuine leather is porous which encourages bacteria and odour; it marks easily and is heavy. The Bella Bag is 5 times more durable than similar commercial upholstery fabrics which means it will be in great condition by the time you get to baby number 3! There are towels and then there is this; pure luxury, the Millie Bamboo Towel. 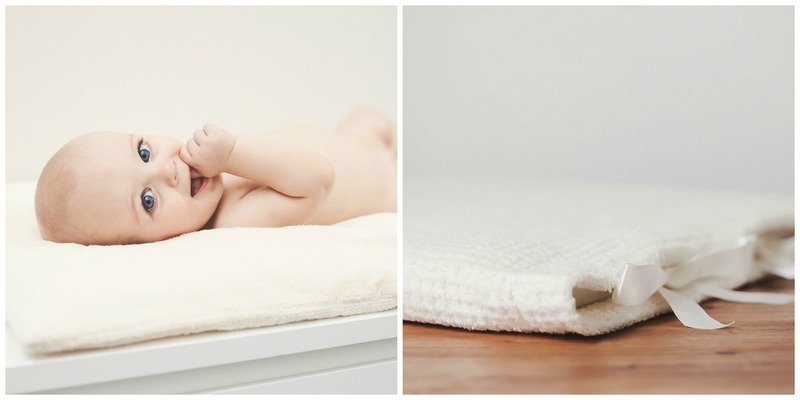 Bamboo is naturally anti-bacterial so this towel is especially useful for newborns and young children. Bamboo is 60% more absorbent than regular cotton and has anti-bacterial properties which also make it odour free. Available with or without a Face Washer. $49 or $58 with Face Washer.